The sporty SUV gets further refined. 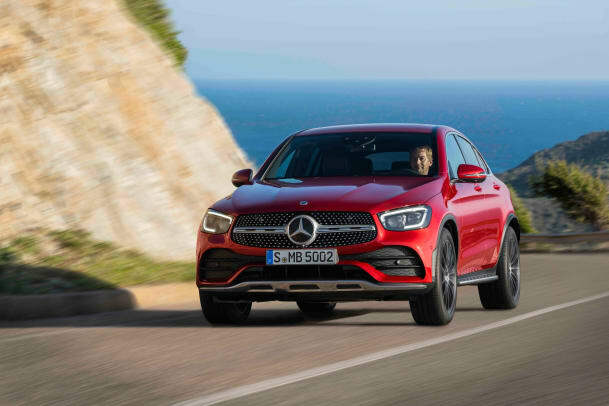 While the all-new GLC Coupe isn&apos;t a dramatic redesign, the exterior surfacing gets cleaned up a bit to align with their current design language that swaps out the aggressive lines for a smoother overall look. 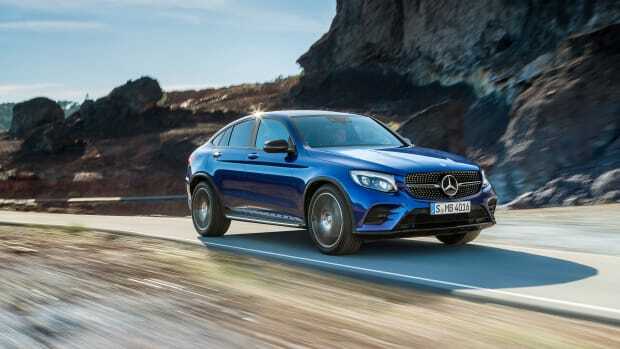 Just like the previous model, the car keeps its big and imposing presence and the SUV&apos;s signature fastback-style roof. The front-end will feature an updated diamond-block grille with an integrated star and a single louvre that reaffirms its coupe-like DNA. This is flanked by their new headlight design that houses a standard set of LED lamps. The cabin features an aesthetic that is both luxurious and technical with leather and optional touches of carbon fiber, colorful ambient lighting, and their MBUX system. This system features a 12.3" digital instrument cluster and a 10.25" touchscreen display, both of which can be controlled via touch controls, touch control buttons on the steering wheel, the multifunction touchpad on the center console, gestures, and through the "Hey Mercedes" voice control system. Power will come from a 2.0L, turbocharged inline-four with 255 hp and 273 lb-ft of torque. 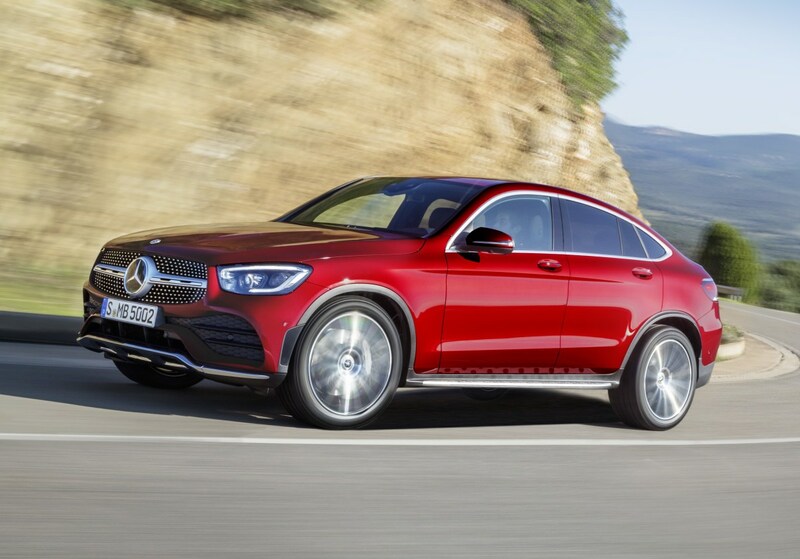 The new GLC Coupe will go on sale in the US later this year. 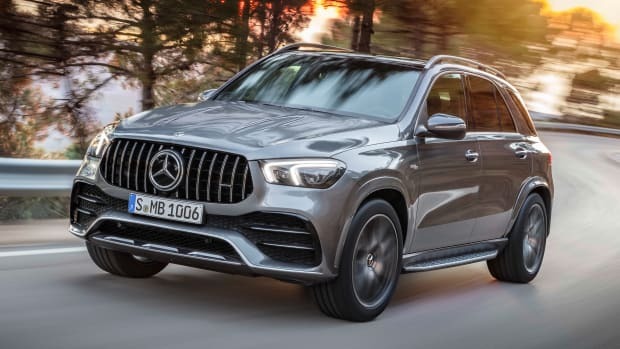 Mercedes unveils their answer to the X4. 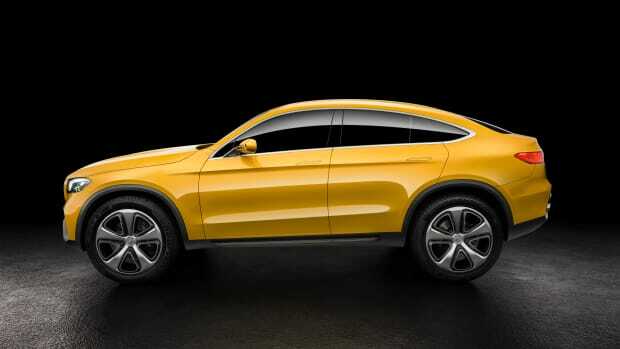 The company introduces a production version of their concept crossover. The performance SUV that started it all.